Have You Suffered Problems from a Severe Infection? Parker Waichman LLP is Offering Free Case Consultations for Potential Bair Hugger clients. No Expenses or Fees Unless You Win Your Bair Hugger Lawsuit! Bair Hugger lawsuits are being filed which allege that these warming devices have been linked to serious infections when used during hip and knee replacement surgeries. The experienced attorneys at Parker Waichman LLP are currently taking cases involving Bair Hugger blankets and can assist you in the recovery of full compensation for your injuries. Hip and knee replacement surgeries are stressful enough and involve long recovery times as it is. You shouldn’t have to trouble yourself about developing serious, preventable infections after surgery. Parker Waichman LLP has been investigating the Bair Hugger device and is pursuing lawsuits against the manufacturers for placing patients at unnecessary risk of severe infections. Our attorneys have a longstanding history of achieving unbelievable results for our clients, and we have decades of experience fighting for just compensation from major medical device manufacturers. With more than $2 billion in settlements and verdicts, Parker Waichman LLP has become a leading personal injury and product liability law firm in the nation. Contact us today about your potential Bair Hugger case to see if you might qualify for a lawsuit. Who Manufactures Blair Hugger Warming Devices? The Bair Hugger is a forced-air warming medical device manufactured by 3M Company and Arizant Healthcare, Inc. It is used during surgical operations like knee and hip replacements to maintain a patient’s body temperature, which can lower as a result of anesthesia. Studies indicate that keeping a patient warm during these surgeries will control bleeding and allow the patient to recover faster. What Do the Blair Hugger Lawsuits Allege? The Bair Hugger consists of a portable machine and a disposable blanket. The machine sits on the operative room floor and connects to the blanket with a hose. This floor unit pushes warm air into the blanket, which is placed on or under the patient during surgery. The warm air circulating through the blanket helps to keep the patient’s body temperature from dropping during the operation. However, the Bair Hugger can cause patients who undergo knee and hip replacements to develop serious postoperative complications. What is the Problem with Bair Hugger Warming Devices? While the Bair Hugger blanket is disposable, with a new blanket being used for every patient, the portable floor unit is used over and over and carried from room to room. The unit comes with no instructions for cleaning or decontamination. The unit also has no filter in the hose connected to the blanket, and the blanket is not airtight. How Does Bacteria Enter Surgical Site Area? Bacteria from inside the unit’s hose and from inside the room is then pushed into the blanket, onto the patient’s open surgical site, and back into the operating room, where it contaminates the operating room air and is potentially recycled back into the Bair Hugger unit. Studies of the Bair Hugger show that its inadequate filtration system allows bacteria like staphylococcus aureus, coagulase-negative staphylococci (CoNS), and methicillin-resistant staphylococcus aureus (MRSA) to bypass the device’s air intake filter and colonize inside the device. And because there is no filter on the hose connected to the blanket, any bacteria housed in the device can be pushed into the hose and into the blanket draped over or under the patient. Further, in an operating room, dense, cold air is pushed downward from the room’s air system. When air escapes from the Bair Hugger blanket, it creates convection currents that flow against the downward airflow in the room. The warm, contaminated air from the Bair Hugger blanket rises inside the room, and deposits bacteria onto the patient’s open surgical site. 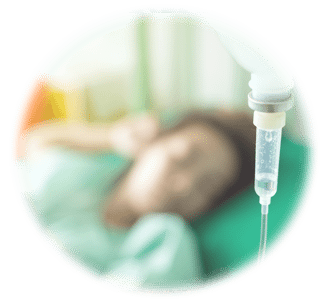 Some patients can be treated with antibiotics, though most of them will require intravenous administration of antibiotics in the hospital. However, the majority of patients cannot be treated with antibiotics alone. Most of them will require additional surgeries to clean out the infection or replace the infected/failed prosthetic joint. 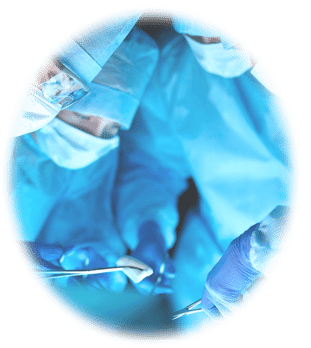 Many will require multiple additional surgeries because the joint and surrounding tissue has been so compromised. In the worst cases, patients will be forced to undergo amputation of their legs because the tissue has been destroyed, and their legs cannot be saved. In 1997, the Bair Hugger manufacturers wrote a letter to the U.S. Food and Drug Administration (FDA) in which they admitted that the device might lead to a compromised surgical site. In the letter, they wrote that “air blown intraoperatively across the surgical wound may result in airborne contamination.” They explained to the FDA that they were going to remedy the problem by implementing a tape barrier on the Bair Hugger blanket to prevent air from migrating toward the surgical site. This was actually untrue, as the manufacturers never put a tape barrier on the blanket, and tape would not have resolved the problem anyway. In addition, studies of actively used Bair Hugger devices have found startling percentages of contaminates. One study found viable microorganisms present in 100 percent of the studied devices. Other studies have found CoNS isolates inside 74 percent of the devices and mold inside 26 percent of the devices. Rather than doing something to make the device safer, however, the manufacturers continued to expose patients to potentially devastating bacteria. In fact, the manufacturers of Bair Hugger have now outright denied the science and insisted to both health care providers and to the FDA that the Bair Hugger’s intake filters are adequate, that the filters meet High Efficiency Particulate Air (HEPA) standards. This is completely untrue. In order to qualify under HEPA standards, a filter must remove 99.97 of all particles measuring 0.3 micrometers or larger. The Bair Hugger intake filter removes only 63.8 percent of those particles, a far cry from compliant, and its hose doesn’t even have a filter. The manufacturers know this device is a problem, they know they could make it safer, but they have completely failed to do anything to protect patients or to warn patients and doctors about the risks of infection when using the Bair Hugger. Because of their failures on multiple levels, Parker Waichman LLP is aggressively seeking compensation for injured people and their families by filing lawsuits in federal court. In the Bair Hugger product liability litigation, we are alleging that the manufacturers defectively designed and defectively manufactured the Bair Hugger and its components, and that they failed to adequately warn doctors and patients about the risks associated with this product. In our design defect claim, we are arguing that, because of the way the product was designed, the Bair Hugger presented an unreasonable risk of infection and harm to patients. We are alleging that the manufacturers knew about the risks and yet failed to create a safer alternative when one was available. In proving up our manufacturing defect case, we are arguing that the Bair Hugger was defective when it left the manufacturers’ hands. We are alleging issues with the final product and do not have to examine the entirety of the manufacturing process. As part of our Bair Hugger failure to warn case, we are alleging that the manufacturers failed to provide sufficient warnings about the dangers associated with the warming blankets and warming machines. Medical device makers have a legal duty to warn both patients and doctors about the potential complications of their products so that people can make informed decisions about their treatment. Parker Waichman LLP alleges all of these causes of action in each Bair Hugger case we file, and we make sure to file every case within the applicable statute of limitations. Each state has their own respective statute of limitation. These are time limits imposed by state law on filing lawsuits. If you fail to file your case in the right amount of time and in the correct court, you will never be able to file it, regardless of the merits of your case. That might seem unfair, but states create statutes of limitations to encourage plaintiffs to act while their potential evidence is still reliable and available. When you file your claim sooner rather than later, your witnesses’ memories will be stronger, and records and documents you need will still be intact and accessible. In some cases, these are conservative timeframes because some states have “discovery rules” that allow plaintiffs more time to file their claims. Discovery rules essentially pause the clock until the plaintiff has had time to discover that he has been injured and sometimes how and by whom he was injured. Even with these discovery rules, it can still be difficult to understand when time started running, and any mistake in calculation can be extremely costly. The very best way to determine the statute of limitations on your Bair Hugger case is to hire an experienced lawyer, like the lawyers at Parker Waichman LLP, to investigate your claims. As soon as we sign up a Bair Hugger case, we go to work calculating the appropriate statute of limitations to make sure we have enough time to review and file your case. If you think you have a potential Bair Hugger claim, do not delay the process. Contact our office today to start working with one of our skilled medical device attorneys. Reviewing and performing discovery on your case, including completion of Plaintiff Facts Sheets ordered by the Court. These are just the steps we will take leading up to and immediately after filing your case. Our experienced lawyers have extensive knowledge of complex litigation, and we understand how to achieve results for our clients. We will be by your side throughout the entire legal process, giving you peace of mind that your case is in the best hands. When clients contact us about their potential Bair Hugger claims, they usually have a lot of questions about the device itself and the current litigation. We have compiled a list of some of the questions we hear most often, which you will find below, along with our answers to those questions. The Bair Hugger is a forced-air warming device used during surgical operations like knee and hip replacements to maintain a patient’s body temperature. Studies indicate that keeping a patient warm during these surgeries will control bleeding and allow the patient to recover faster. The Bair Hugger consists of a portable machine and a disposable blanket. The machine sits on the operative room floor and connects to the blanket with a hose. This floor unit pushes warm air into the blanket, which is placed on or under the patient during surgery. The warm air circulating through the blanket helps to keep the patient’s body temperature from dropping during the operation. Who Manufacturers the Bair Hugger? The Bair Hugger is manufactured by 3M Company and Arizant Healthcare, Inc. You are probably quite familiar with 3M’s non-medical products, which include Post-its, Scotch tape, and Command hooks. What Injuries are Associated with the Bair Hugger Warming Blanket? While some patients who develop infections from Bair Hugger can be treated with antibiotics alone, most will require surgery to clean out the infection or to replace the infected hip or knee implant. In the most severe cases, patients have to undergo amputation of a leg because of advanced, uncontrolled infection and tissue death. Where are Bair Hugger Lawsuits Being Filed? A large number of plaintiffs have already filed suit against 3M and Arizant for their Bair Hugger injuries, and the cases have been transferred to a Multidistrict Litigation. A Multidistrict Litigation (MDL) is essentially a consolidation of a group of cases in same federal court. MDLs provide the plaintiffs and defendants assurance that pretrial issues will be decided in the same way, and they allow parties to preserve resources and eliminate unnecessary work duplication. The Bair Hugger MDL is located in the U.S. District Court for the District of Minnesota in front of Judge Joan N. Eriksen. Judge Eriksen has overseen pretrial matters on all of the Bair Hugger cases, including working with the parties on written and electronic discovery. She will also preside over the first Bair Hugger trials, which are called “bellwether trials.” The first Bair Hugger bellwether trial is currently scheduled to begin February 26, 2018. How Do I Know if I Had a Bair Hugger During My Surgery? The Bair Hugger device is somewhat unique in that it is most frequently used while a patient is asleep. Sometimes, a warming device will be used after knee or hip surgeries, but most often, it is implemented during the surgery itself, while the patient is under anesthesia. Because patients never see the blanket, they don’t even know it was used. In our experience investigating these cases, we have come to expect that patients will not know what device their surgeons or anesthesiologists used. When you sign your case up with us, we will find out that information for you. We will order your operative notes, intraoperative reports, and anesthesia reports to identify whether a forced-air warming device was used during your surgery and whether it was a Bair Hugger brand device. How Long Could My Bair Hugger Case Take? At this stage of the Bair Hugger, we are unfortunately not able to make accurate determinations about how long things will take to resolve. It is also important to keep in mind that settlements or favorable verdicts are never guaranteed. We will fight tenaciously for your case to be resolved in your favor, but we can never be completely sure what will happen throughout the course of a litigation. As you can imagine, thousands of people have been affected by Bair Hugger infections. Due to the size of this litigation, things will naturally move more slowly than a standard state court personal injury claim. MDL management sometimes moves more slowly, too, though there are multiple reasons to favor an MDL over a state court action in a litigation of this size. Throughout the entire time your case is pending, Parker Waichman’s attorneys and staff will do everything we can to keep you updated on the litigation progress. We are also diligent about responding to phone calls and emails, and we encourage you to connect with us any time you have questions or concerns about your claim. Client communication is very important to us, and we want to make sure you always feel comfortable with what’s happening in your case. How Can a Products Liability Lawyer Help Me? Punitive damages, if the defendants are shown to have engaged in conduct egregious enough to warrant this type of compensation. Parker Waichman LLP will work with you to achieve a complete picture of your damages and to be sure we are pursuing the fullest extent of potential compensation for you and your family. We recognize that your Bair Hugger injuries have placed a substantial burden on your life, and we will help you hold the manufacturers accountable. Contact one of our compassionate lawyers today to talk about how we can start. Parker Waichman LLP is offering free case consultations for potential Bair Hugger clients. We will investigate your case with absolutely no money down from you and will contract your case on a contingency fee basis. That means our recovery is contingent on yours. If you don’t get paid, neither do we. Contact our firm today to find out more information. We understand how significantly your life has been affected by your knee or hip infections, and we want to help you hold the Bair Hugger manufacturers responsible. If you underwent a total hip or knee replacement and developed a serious postoperative infection, contact our firm today for your free consultation by filling out our online form or by calling 1-800-YOURLAWYER (1-800-968-7529).